In the Música de Navidad series, students experience the rhythms, styles, and musical characteristics of Latin American music while exploring the holiday traditions of this part of the world. Each piece begins with a short rhythm exercise that prepares students for the rhythm patterns featured in the arrangement. Familiar Christmas carols are creatively given a Latin American flair, and some traditional Spanish carols are included as well. Brief descriptions of Latin American Christmas traditions help to spark the imagination of the performers. Book 1 is arranged for students at the late elementary level.Titles: Campanas de Belén (The Bells of Bethlehem) * Canta, ríe, bebe (Sing, Laugh, Drink) * Cascabel (Jingle Bells) * Le deseamos Feliz Navidad (We Wish You a Merry Christmas) * Noche de paz (Silent Night) * ¡Regocijad! Jesús nació (Joy to the World) * Somos tres reyes de Oriente (We Three Kings of Orient Are) * Venid, fieles todos (O Come, All Ye Faithful). © 2019 Alfred Music Publishing (UK) Ltd. All Rights Reserved. 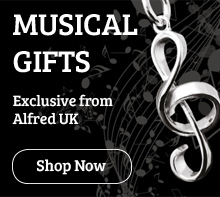 Burnt Mill, Elizabeth Way, Harlow, Essex, CM20 2HX T: +44 (0) 1279 828960 E: music@alfreduk.com. An unquoted privately held corporation in California, USA Principal office: P.O Box 10003, 16320 Roscoe Boulevard, Suite 100, Van Nuys, California 91406-0003, USA.